A man who went into cardiac arrest after being placed in a body wrap by police outside of St. Patrick's Cathedral in midtown died of homicide caused by physical restraint, the medical examiner has found. Ronald Singleton, 45, died of homicide caused by "physical restraint by police" last month while he was apparently high on PCP, or angel dust, the medical examiner says. High blood pressure, heart disease and obesity were also contributing conditions, the medical examiner said. Police say a taxi cab driver flagged an officer on foot patrol near St. Patrick's Cathedral at East 51st Street and Fifth Avenue just after midnight on Saturday, July 13 and said his passenger was acting "overly irate and irrational" as he cursed and screamed. When the passenger got out of the taxi, he tried fighting with the officer, who in turn called for backup, police said. A lieutenant and other officers from Midtown North responded, along with emergency services officers, who put Singleton in a protective body wrap, police said. EMS started to transport Singleton to Bellevue Hospital when he went into cardiac arrest in the ambulance, police said. 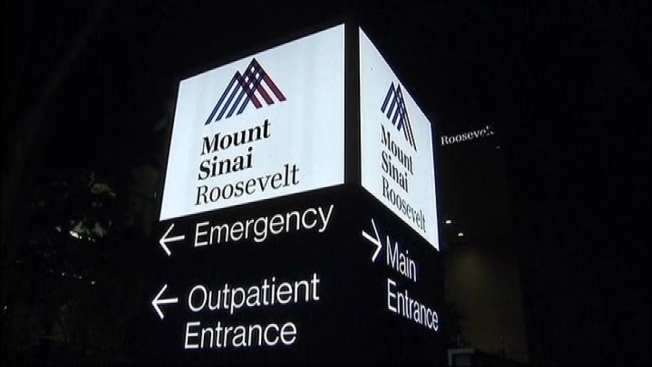 The ambulance rerouted to the closer Roosevelt Hospital, where he was pronounced dead. Singleton was never under arrest, police said, and was only considered an emotionally disturbed person when he was being transported to the hospital. The NYPD says it's cooperating with the district attorney's office, which is leading the investigation into the case. Patrick J. Lynch, president of the Patrolmen's Benevolent Association, said in a statement Saturday that Singleton risked his life when he used PCP, and ultimately was responsible for his own death. "Our members follow department protocols designed to best insure the safety of the drug abuser and of the police officers who are attempting to get the individual the necessary medical aid," he said. "The responsibility for the outcome lies entirely with the drug abuser." The NYPD has been scrutinized more closely for its arrest tactics since the death of Staten Island man Eric Garner, who also died of a homicide after being placed in a chokehold by an officer. In that case, the medical examiner said compression of the neck and chest, along with Garner's positioning on the ground while being restrained by police during the July 17 stop on Staten Island, caused his death. Asthma, obesity and heart disease were also contributing factors. The death sparked national outrage for what civilians considered excessive and brutal tactics in approaching and restraining Garner, and the Staten Island district attorney has said the case will go to a grand jury.